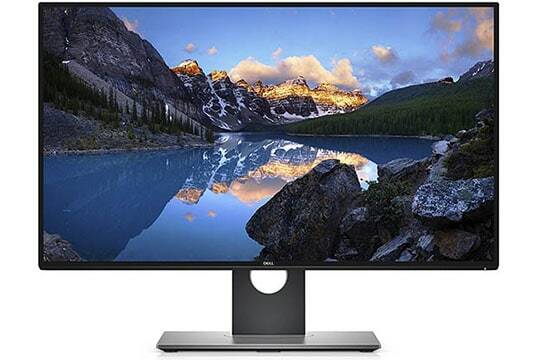 The Dell UltraSharp U2718Q is a 27″ 4K IPS monitor which is mainly intended for content creators. Due to its quick response time speed and low input lag, it’s also a great choice for casual gaming. While it does support HDR10 (High Dynamic Range), it lacks color gamut, brightness, and contrast which would make the HDR viewing experience notably better. 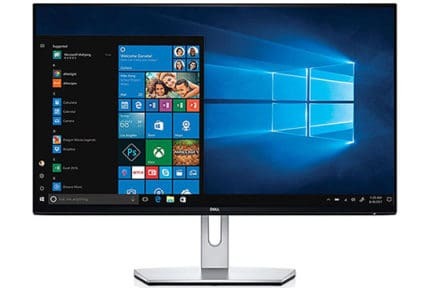 The Dell U2718Q is not to be confused with the Dell UP2718Q which has a much brighter image, higher contrast, and wider color gamut for the true HDR viewing experience. Based on an IPS panel with 10-bit color support (8-bit + FRC), the Dell U2718Q delivers vibrant, consistent, and accurate colors. Moreover, it’s factory-calibrated to Delta E < 2 and covers 99.9% of the sRGB color gamut making it an adequate display for professional color-critical work. Its IPS panel also ensures wide 178-degree viewing angles, a notable 1,300:1 static contrast ratio, and a quick 5ms pixel transition speed for minimal ghosting of moving objects across the screen. Furthermore, 4K Ultra HD resolution ensures an incredibly crisp and mesmeric picture quality with vivid details and plenty of screen real estate. Overall, the image quality is stunning, as expected of Dell’s 4K IPS monitor at this price range. It’s only when we get to HDR that things start to turn south. While the Dell U2718Q monitor can accept the HDR10 signal, it lacks proper display capabilities to actually enhance the viewing experience. For a noticeable improvement in the image quality, an HDR monitor should be capable of delivering at least a 400-nit peak brightness (preferably 600) and cover at least 90% of the DCI-P3 color gamut. In contrast, the Dell U2718Q has a peak brightness of 350-nits and only covers the standard sRGB color gamut meaning that its HDR is software-emulated. Some games may look slightly better, but most of the time you’ll just get oversaturated colors. The monitor is still a great display due to its accurate colors, 4K resolution, premium design, and smooth performance, but don’t buy it just for the sake of HDR. The Dell U2718Q input lag measures to only ~9ms for both HDR and SDR (Standard Dynamic Range) content which makes it suitable for competitive gaming, that is if you don’t mind being limited to 60Hz. Additionally, the response time speed of only 5ms effectively eliminates motion blur of fast-moving objects in video games and movies. So, if you’re a professional designer who also likes to casually play video games, the Dell U2718Q is definitely for you. Moving on, the monitor uses PWM (Pulse Width Modulation) to regulate brightness, so if you are over-sensitive to screen flicker, you may experience eye strain or headaches after prolonged use. All display connectors of the Dell U2718Q support HDCP 2.2. So, you can watch copy-protected content in 4K on Blu-rays and streaming services such as Netflix on the monitor. In the OSD (On-Screen Display), you will find the following settings: contrast, brightness, aspect ratio, sharpness, color format, color temperature, input source selection, RGB, hue, and saturation. To enable HDR, check the ‘Smart HDR’ setting in the OSD menu. You will also find the ‘Response Time’ setting but we recommend leaving it at the ‘Normal’ option. Finally, there are several preset modes available including ComfortView which filters out the harmful blue lights. There are no Picture in Picture and Picture By Picture modes available though. 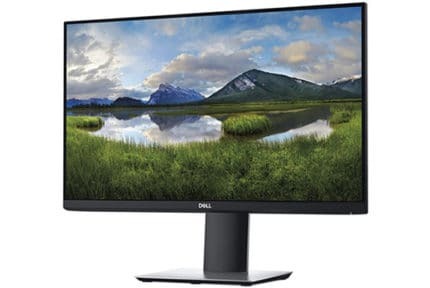 The Dell U2718Q 27″ 4K IPS monitor features a premium design with full ergonomic support including up to 130mm of height adjustment, -/+ 45° swivel, -5°/20° tilt, 90° pivot, and 100 x 100mm VESA mount compatibility. Connectivity includes HDMI 2.0a, DisplayPort 1.2, mini-DisplayPort 1.2, a headphones jack, and a quad-USB 3.0 hub. Keep in mind that only the HDMI port supports HDR. 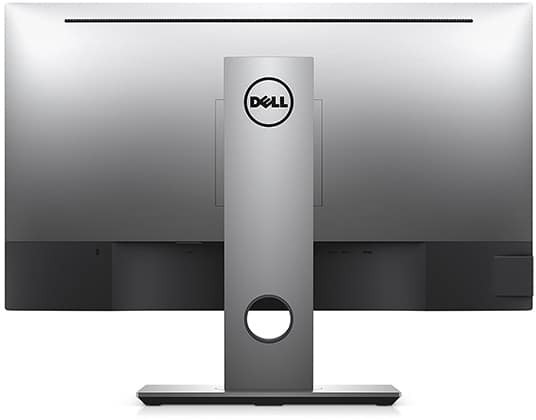 The price for the Dell U2718Q 4K monitor is usually around $460. If you are looking for a 27″ 4K IPS monitor, check out the LG 27UD58 which is available for ~$300. It may not have a premium design and HDR support, but it’s much more cost-effective. In case you want an HDR monitor, we suggest the LG 32UD99 and the Samsung CHG70 models. 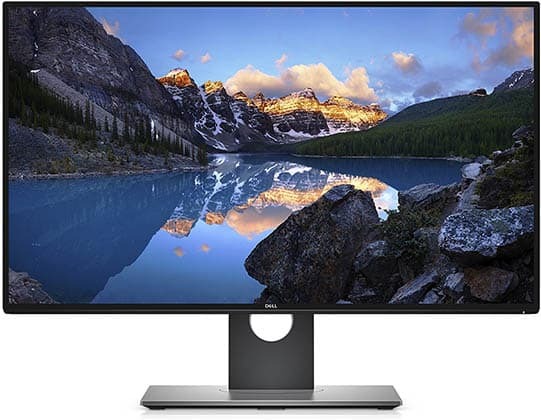 All in all, the Dell U2718Q is an excellent 27″ 4K IPS monitor, but there are many more affordable options out there, such as the LG 27UD58. The ultra-slim and versatile design with extensive connectivity options as well as the emulated HDR support add premium pricing to the monitor which we hardly find worthwhile. The best thing about this monitor is the Delta E < 2 factory-calibrated which will appeal to professional designers, photographers, and alike. In that case, we recommend having a look at our best monitors for photo/video editing buyer’s guide. The Dell UP2718Q is a premium 27" 4K IPS monitor for color editing and professional use, but its great input lag and response time performance make it viable for gaming as well. HDR performance, on the other hand, is underwhelming.